Coming under the Chikmagalur District of Karnataka, Kudremukh trek is one of the most exciting treks in this region. It is the third highest peak after Mullayanagiri and Bababudangiri. Absorb the beauty of the Western Ghats as you walk up the trail. Very few people know the fact that the Western Ghats are considered as UNESCO World Heritage Site for the natural beauty and for being an icon of environmental balance. The lush greenery of the hills can never fail to mesmerize a soul. You'll cross several cascading waterfalls and narrow streams, thick forests with a variety of trees, and the whistling of birds will keep you entertained all throughout. And finally, when you'll reach the peak, the picturesque view from the top and the chilled wind will absolutely blow you out of your mind and make you numb for a few minutes, before you regain your consciousness to feel the enchanting magic of the place. 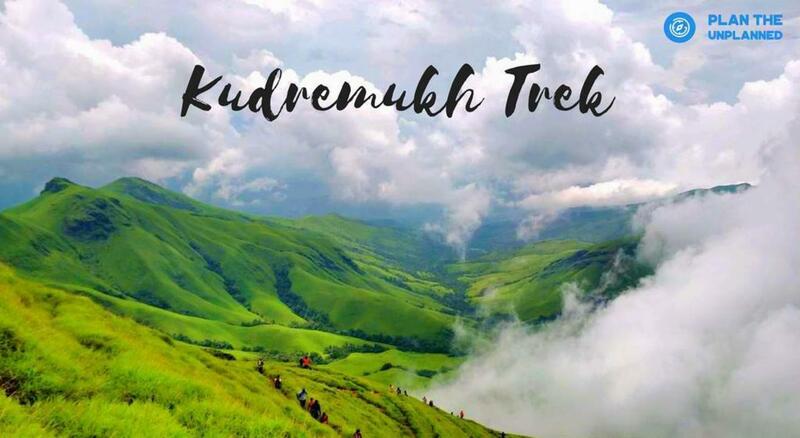 So if you are bored of the city lights in Bangalore, then forget everything and join us for this weekend trek to Kedremukh and find yourself amidst nature. -Check the homestay, have dinner and hit the bed early.